I bought this dress last year from Still White. I have included the info from the original seller as well as the alterations I had done. It came as a strapless dress but straps were added to it which I am sure would be able to be made tighter or removed if wanted. Bought as a size 16 but with the alterations, i would imagine it would be closer to a 14 now. It has a corset back so i am sure it can be made smaller if need be. Rough measurements are: Bust - approx 44cm accross front of dress (approx 100cm around) Hip - approx 49cm Approx 138cm from v neck to bottom of dress. 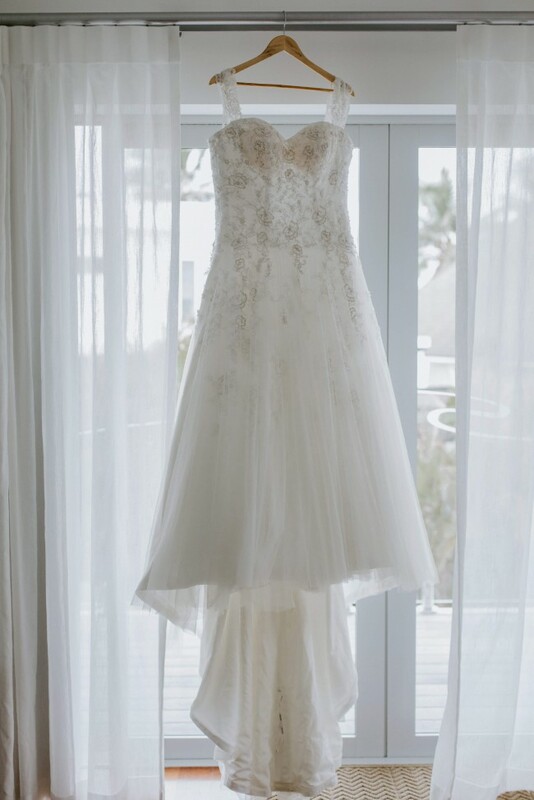 I had the dress made shorter as I am 5' 3" and was bare foot for my wedding. Once you send a message, Vicki can invite you to purchase the dress.